An organic products manufacturer that is making waves in the spa and leisure industry has won the Telstra Regional Business Award on Thursday. 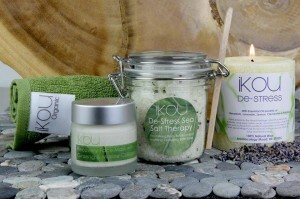 iKOU supplies health and beauty products to spas and 5-star resorts. The brainchild of Naomi and Paul Whitfield, iKOU started in a small kitchen in their Blue Mountains home, and eventually moved into a 1000 square meter building in Katoomba. Ms. Whitfield said they spent half a year “living and breathing” the company even before they launched. Just weeks after launching a wholesale spa product range, the thriving company already received an order for 1.5 tonnes of bath salts. iKOU uses natural ingredients that are ethically sourced and manufactures their products using wind and solar power. “We started manufacturing in our kitchen and now we stock almost every five star resort in Australia,” Ms. Whitfield said in an article on The Daily Telegraph. Today iKOU has a 500-strong product line featuring skin care and body products, candles and organic herbal teas which can be found in world-leading hotels and spas including Six Senses Luxury Resorts. The company also has a day spa in Leura Mall and stores in Leura and Paddington. Ms. Whitfield hopes winning the award would inspire other companies to engage their local farmers and businesses in their operations. “We believe in a business that gives back, social responsibly, environment, supporting Australian growers,” she said. Other manufacturers took home the top awards in the Telstra Business Awards. Bruny Island Cheese Co. won the Telstra Business of the Year Award, the first time a Tasmanian company ever received the recognition in the Awards’ 21-year history. The company also won the Telstra Small Business Award. Meanwhile Eniquest from Warana, Queensland took home the Micro Business Award for their company which manufactures power generation products. The company is already working with some of Australia’s largest organizations including the Australian Defence Force, BHP and Toll Australia. For more information about the Telstra Australian Business Awards or to nominate for the 2014 Awards, please visit www.telstrabusinessawards.com. Is 3D printing the cure to America’s manufacturing woes?